So simple! I really disliked the messiness of dripping yogurt cheese wrapped in a cloth as mentioned in Nourishing Traditions. One day I decided to experiment using my sieve, glass measuring cup, and a coffee filter and it worked delightfully! I suspect this could be done using a colander and larger industrial-sized basket coffee filters as well. I usually make yogurt in my dehydrator, where the thermostat keeps the constant temperature required for ’24-hour yogurt’. In the Excalibur 5-tray dehydrator I can do 2 gallons at a time, put into quart sized mason jars. Step 2: Chill yogurt until firm. 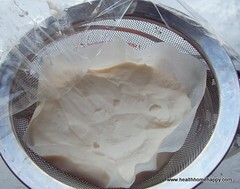 Pour 2 (or as much as will fit without spilling over the edge) cups of yogurt into coffee filter. Step 3: Cover and allow to drip overnight in the fridge. I normally get about 1 cup of whey and 1 cup of cheese out of 2 cups of yogurt. 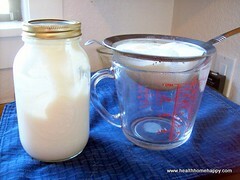 Step 4: Flip the yogurt out onto a plate or into a mason jar. 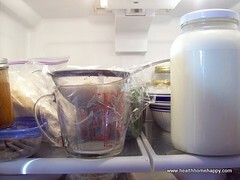 Pour whey into another jar to use when making lactofermented foods such as pickles or sauerkraut. Discard coffee filter. Step 5: Enjoy! We use this tart cheese as a cream cheese substitute. 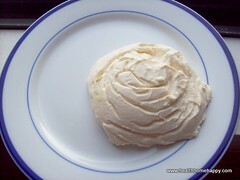 Delicious spread on crackers, as a base for a vegetable dip, and I loved it in pastries when we were eating grains. 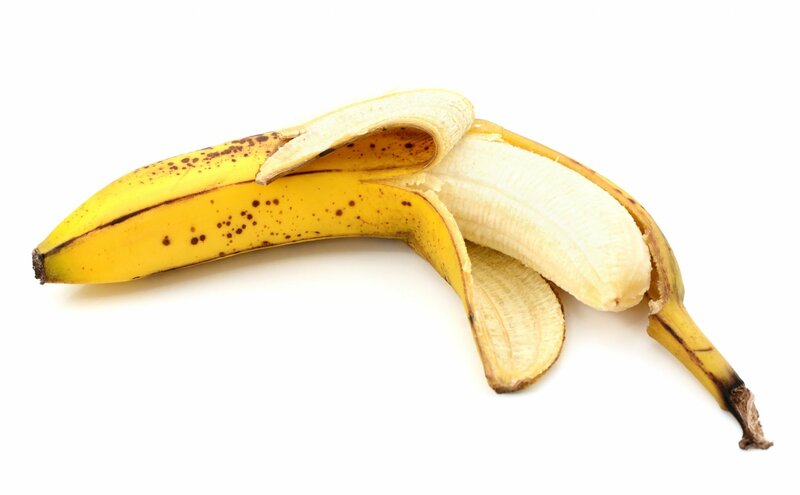 Next Post: Are Bananas Allowed on the GAPS and SCD Diets? Hi Katie :) I’ll try to do a ‘troubleshooting yogurt’ post soon, I’ve had a few flops but it turns out for me predictably now. Good idea with the coffee filter! I don’t like the idea of the kitchen towel either. Yes, Cara! Please do a detailed video or explanation on how to make raw milk yogurt in the Excalibur! 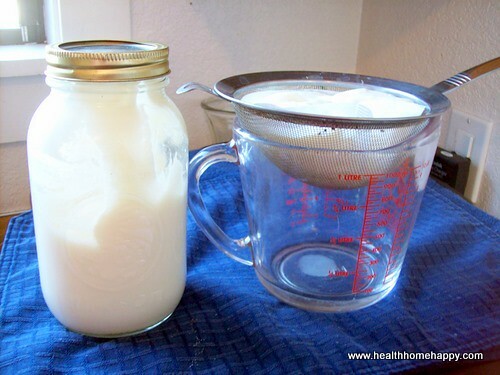 I understand it can be done WITHOUT heating the raw milk on the stove. I would love to learn how to do this. Thank you for great teachings! I would also love to know how to make yogurt without heating… I bring mine to 110 f, then put in jars in the dehydrator for 24 hour yogurt. I just had my first attempt making “crock pot yogurt” yesterday (it failed), but now I’m working on making ricotta cheese! So far, so good…and I am just draining the whey in a plastic colander and a large kitchen towel over a stock pot. That works too! I too would like to learn how to use the dehydrator to make yogurt. I recently got an Excalibur (yippee!) but I haven’t attempted yogurt since last year when I had some success in doing it with the crockpot. After three total fails, though, I stopped and reverted to storebought. 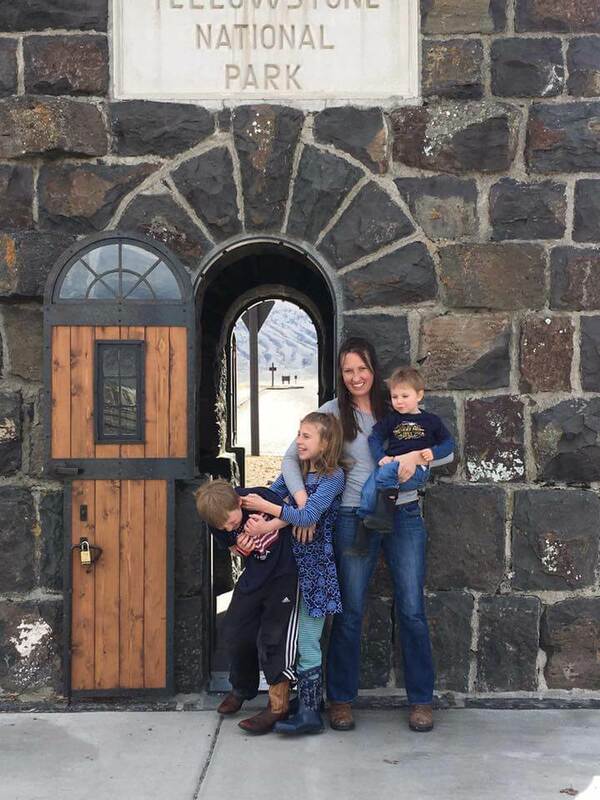 I’m tired of spending the money on Dannon or Brown Cow and would like to start making yogurt again in the new year. I made an awesome find with a plastic mesh cloth. It is meant to go over your microwaved meal and catch the splatter (no microwave – thanks!) but it has fine enough holes to strain cheese and yogurt and grains very quickly. It cleans in the sink super quick and easy too. Not totally thrilled to use plastic, but I never heat it. Great idea with the coffee filter though! I strain the whey off of my yogurt like this, too. But instead of plastic wrap I place another coffee filter on top of the yogurt. I line the bottom of a large colander with 3 overlapping coffee filters so I can strain the whole quart of yogurt at once. I use the unbleached coffee filters. This is better than any Greek yogurt you can buy at the store. 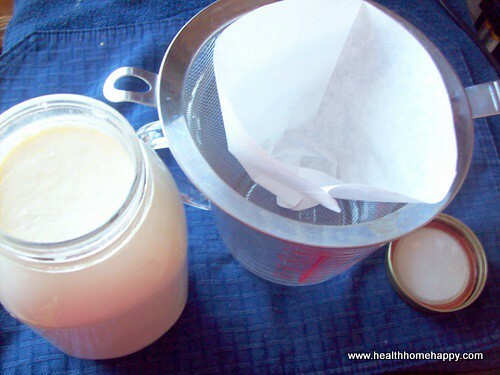 Once you get the hang of making the yogurt and straining it yourself, you’ll never go back to store-bought. I too make 24 hr yogurt in my excalibur, using dannon for my starter as per my SCD instructions. But I’ve always dumped the “whey” leftover after being told it isn’t a true whey because it has no lactose remaining. What are your thoughts on this and have you been successful in using this “liquid of hydrolysis” (as it’s been called) for your fermentation of vegetables, soaking of grains, etc? I would love to know! I didn’t realize you could use Dannon starter for SCD (that’s the one part of SCD we don’t follow- we use multiple strains of bacteria and have found them to be beneficial- especially kefir). I use the yogurt cheese for a fruit dip. I add a little stevia and vanilla or almond extract and mix it up. It is wonderful in a fruit salad. I strain with a gold plated reusable coffee filter. I found it at a thrift store but it didn’t fit my coffee maker. (Luckily!) Raw milk yogurt with a little raw honey is a favorite here. Awesome idea! The first time I used a kitchen towel and it was such an awful mess! Then I was happy to find cheese strainer cloth in the supermarket which I currently use. When I run out I’ll be using coffee filters, great idea! I use a pressure coffee maker which is probably why I didn’t have the idea myself! Thanks!